That’s going to leave the networks that televised the AAF with some programming holes. This week has a Memphis Express (feat. Johnny Manziel) – San Antonio Commanders game on CBS at noon Eastern Saturday (ahead of the Final Four), plus games at 8 p.m. Eastern Saturday and Sunday night on NFL Network. (There’s also a Sunday afternoon game on B/R Live, but that app doesn’t have to fill specific programming slots). Next week, NFLN was again set to show games Saturday and Sunday night, and CBSSN was set to show a Sunday afternoon game. The playoff semifinals were set for noon and 3 p.m. Eastern on Sunday, April 21, on CBS and TNT respectively, and the championship game was set for 8 p.m. Eastern on Saturday, April 27 on CBS. The networks can obviously find some reruns to slot into those gaps, but the AAF had been a pretty good TV draw. It took a downturn in the last few weeks, but it worked quite well early on, which led to TNT and CBS both adding more games. And the playoff audiences might have been even better, especially given the wide distribution of CBS and TNT. So it’s interesting to see the league punt at this point. What are the finances involved here? 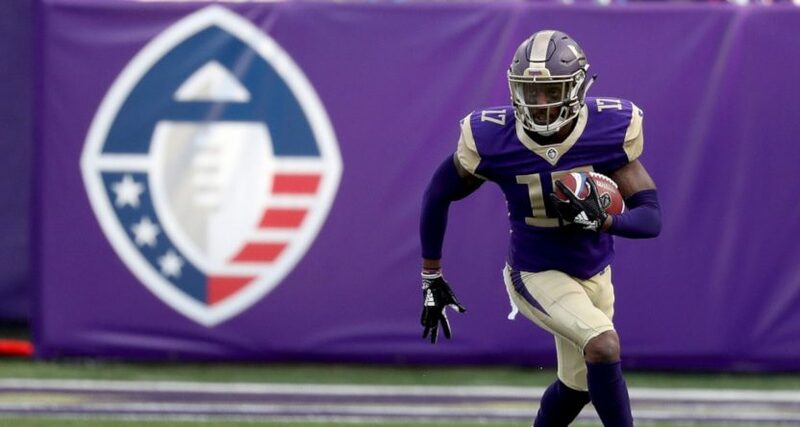 Well, Florio reported that as per a source, the AAF “needed roughly $20 million to get to the end of its first season.” That’s covering the final two weeks of the regular season, and then two weeks of playoffs (a week with two semifinals and a week with a championship game). At the $70,000 per player for Year 1 that was widely reported, player salaries alone look to be costing the league $2.9 million a week, so that’s $5.8 million for the end of the regular season. And that’s before playoff compensation and bonuses, and before costs for coaches, front office staff, travel, gameday operations and more, so $20 million sounds about right.